I look forward to having the opportunity to help each and every person who entrusts their care to me. I have never regretted my decision to become a chiropractor and after 30 years of taking care of patients I can honestly say that I love what I do. 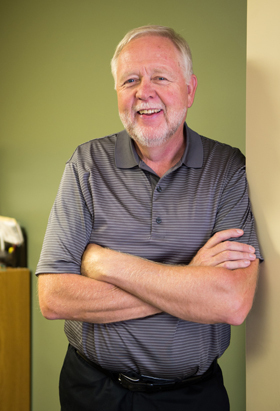 Dr. Randy Wilcox graduated from GVSU before attending Life Chiropractic College in Atlanta, GA. Dr. Wilcox has served the communities of southern Kent County with high-quality chiropractic health care since 1982. He is committed to helping his patients with neuro-skeletal problems as well as helping them realize their individual health goals. Through personalized care and adjustments, Dr. Wilcox works to realign the spine so the nervous system can function at its optimal level. This conservative approach to healthcare benefits the patient by reducing and/or eliminating the need for drugs or surgery. Dr. Wilcox, his wife Marge and the friendly staff make every effort to exceed the expectations of their patients. Dr. Wilcox would love to meet you and discuss any concerns or questions you may have, and then help you get on the track to healthy living! Give our office call or email me by using the link below and let’s arrange a time to explore your options.